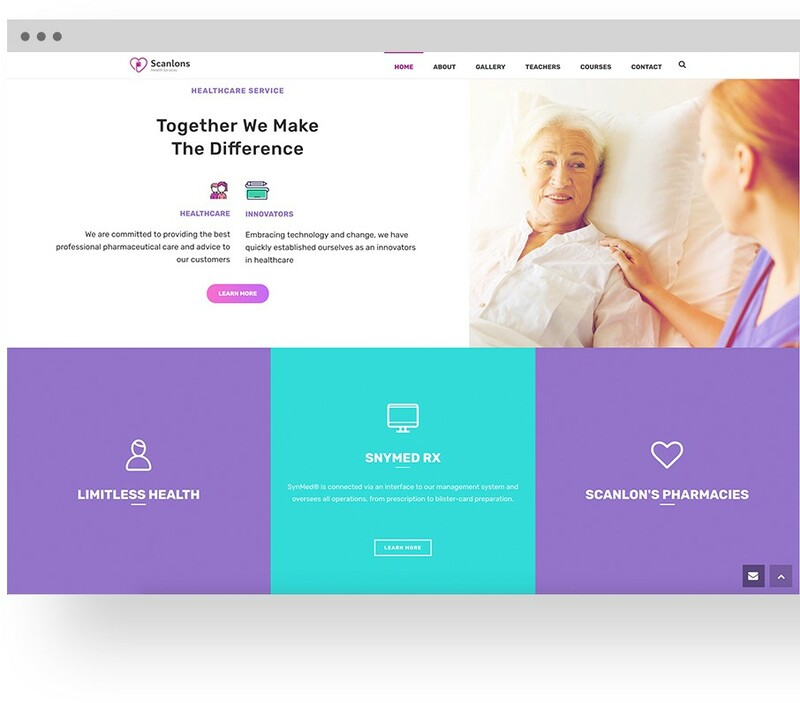 Scanlon’s Limitless Health Pharmacy Group offer best in class service to our patients along with cutting-edge technology that provides you with a range of services within your care environment at the touch of a button. This is achieved by integrating the pharmacy and care home. The range of services can be tailored to meet your unique patient requirements. Having full access to our system and being an integrated partner of our pharmacy services gives you a full overview of all Care Home patient records 24/ 7 / 365 days a year via secure encrypted Cloud-based technology. Our dedicated pharmacy team provide Continuous support and advice seven days a week ensuring that all patients needs are catered for. Scanlon’s Limitless Health team take responsibility for ordering prescriptions, maintaining Kardex and all other paperwork associated with best in class patient care. By doing so, we endeavour to free time for your nursing team and care team to further enhance patient care. Our system is fully HIQA and HSE compliant. We have just installed Ireland’s only fully automated Medication blister packaging Robot which allows us to offer our patients a range of blister packaging and guaranteed accuracy. Each tray is 99.998% accurate eliminating Medication errors. Scanlons Limitless Health practice and dispense in accordance with the Pharmacy Act 2007 and comply with HSE regulations with respect to dispensing. We continually audit internally to ensure best practice and adapt and integrate new recommendations as required into our processes. PMR maintenance and data protection are part of our core responsibilities underpinning our commitment to quality and safety in Medication management. We strive to reflect the highest ethical standards in our relationships with patients, providers and other healthcare professionals. Provide Procedures and Protocols for the safe and efficient storage and administration of medication within the Homes, which will adhere to HIQA standards. Provide support to nursing staff and residents alike. Provide continuous education and access to comprehensive, up-to-date information on all aspects of medication management. Carry out a full Medication Reconciliation for each new resident. This is a formal process of obtaining a complete list of patient’s current home medications and comparing to the physician’s admission, transfer and/or discharge orders. Provide appropriate detailed instructions, precautions and special storage instructions for each drug. For many years now, the cost of medications in Ireland has been multiples of those seen in other European countries and even as close to home as Northern Ireland. Scanlons Pharmacy and Limitless Health is setting out to give the same value from its Limerick headquartered pharmacy. Limitless Health was founded in 2014 to give Irish people access to affordable medication. For many years now, the cost of medications in Ireland has been multiples of those seen in other European countries and even as close to home as Northern Ireland. Limitless Health is setting out to give the same value from its Limerick headquartered pharmacy. With set of fundamental values and driving principles built around an ethos of care, privacy and respect local pharmacist Dáire Scanlon and his team at Limitless Health are committed to enhancing the quality of life of all our patients by providing the highest quality care possible. We consistently look towards new and improved ways of working to differentiate ourselves with regards to new product ranges, improved services and efficiencies which allow our Colleagues to spend more time with our patients. Click here to sign up for one of our membership plans.